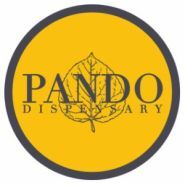 Pando is Denver’s newest, and friendliest, neighborhood dispensary. We’re located centrally near 8th Avenue and I25 and invite you to visit our store or shop online. We sell premium flower, edibles, concentrates and accessories at competitive prices. Our loyalty members receive special prices, discounts and SWAG.